Elanee's Endeavors ! : In Remembrance of Me! Once again God has been faithful to bring something into my life that has gone right along with the command for the week. This week’s command is ‘Take, Eat, Drink.’ “And as they were eating, Jesus took bread and blessed and brake it, and gave it to the disciples and said, Take, eat, this is My body, And He took the cup, and gave thanks, and gave it to them saying, Drink ye all of it; for this is My blood of the new testament, which is shed for many for the remission of sins” (Matthew 26:26-28). I find myself wondering what the disciples must have been thinking as Christ stood before them asking them to eat His body and drink His blood. I wondered why He didn’t choose a cross or sacrifice a lamb ‘as a remembrance;’ wouldn’t that be easier to understand for His disciples? It became clear that while the cross and a lamb remind us of Jesus, it is not what established the ‘new covenant.’ “For it is not possible that the blood of bulls and goats should take away sins. Wherefore when He cometh into the world, He saith, Sacrifice and offering thou wouldst not, but a body hast thou prepared for me…By the which will we are sanctified through the offering of the body of Jesus Christ once for all…For by one offering He hath perfected forever them that are sanctified. Whereof the Holy Ghost also is a witness to us: for after that He had said before, This is the covenant that I will make with them after those days, saith the Lord, I will put my laws into their hearts, and in their minds will I write them; and their sins and iniquities will I remember no more” (Hebrews 10:4-5, 10, 14-17).Christ made a new covenant through the sacrifice of His body and the shedding of His blood. We now can receive remission of sins, be baptized with the Holy Spirit, and have our stony hearts made new by His Word. Taking the bread and the juice are a reminder that without Him dying a painful death, and shedding His blood for the sins of the world, there is no remission of sins. “And almost all things are by the law purged with blood; and without shedding of blood there is no remission” (Hebrews 9:22). Communion is a time to remember what Christ did for us, and it is also a time to examine ourselves. “Wherefore, whosoever shall eat this bread, and drink this cup of the Lord unworthily, shall be guilty of the body and blood of the Lord. But let a man examine Himself, and so let him eat of that bread and drink of that cup. For he that eateth and drinketh unworthily, eateth and drinketh damnation to himself, not discerning the Lord’s body” (I Corinthians 11:27-29). Communion should be a time where we evaluate our relationship with the Lord and with others. It has been wisely said, “Sacred events that are repeated over and over will soon lose their significance and become meaningless rituals, unless the essential nature and purpose for them is also repeated” (Commands of Christ study guide: Series 6, p. 71). Evaluating ourselves helps us to understand the magnitude of what communion represents, rather than making it a ritual. This past Sunday we partook in the Lord’s supper. I was asking God to show me the truth and to help me not be like the Pharisees of Jesus’ day who had hardened their hearts. I was feeling pretty spiritual as we left church, but God quickly knocked me off my high horse. Within a few hours I was on my bed languishing over my true condition. You now those moments when God just gives you a little glimpse of what you are really like? That moment when you realize that you are the ‘chief of all sinners’ and that you are very capable of being desperately wicked? 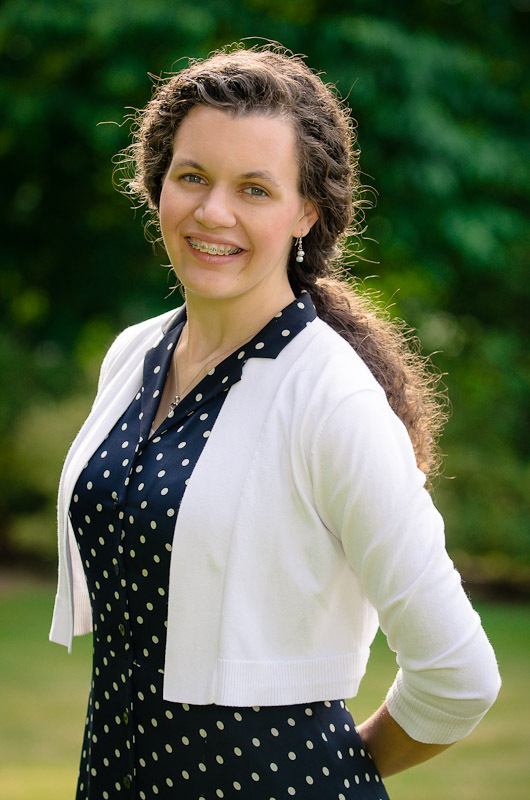 I was truly feeling distressed over my pride, hypocrisy, selfishness, and plain ugliness and felt completely unworthy of being called a Christian. Anybody else have those moments? Days? To ease my discomfort and to seek encouragement, I decided to start studying the command for this week. I saw that the command was on communion. ‘Great,’ I thought, ‘this has nothing to do with what I am feeling right now!” But it turns out it was just what I needed to hear. When God helped me to evaluate myself, I saw some very ugly things. I chose the ‘doom and gloom’ response, but God doesn’t show us our flaws to criticize and discourage us. He wants us to grow in Him, to realize that we can’t be good Christians in our own strength, and to help us see that we NEED a Savior Who died for the remission of our sins and cleared the record by His death on the cross. I started out feeling like I was scum to realizing the beauty of the Lord’s supper—Christ gave His body and His blood for me because He loved me, and because of that, He is in me working to make me more like Him. Praise the Lord! “The more we uncover our true nature, the more we see our need for the power of Christ to change us” (Commands of Christ study guide: Series 6, Pg. 71). Read the following hymn and sing it aloud if you know it (just do it!). It is a wonderful picture of the essence of the Lord’s supper—our sin, the sacrifice of His blood and body, and our remembrance of what He did and is doing for us. The wonders of redeeming love, and my unworthiness. -Do I ask the Lord to search my heart, and do I examine myself before partaking in communion? 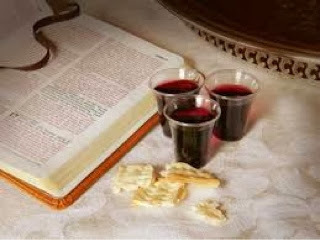 -Do I use communion as a time to remember what it cost Christ for my salvation? -Am I purposing to be right with others? “How much more shall the blood of Christ, Who through the eternal Spirit, offered Himself without spot to God, purge your conscience from dead works to serve the living God? And for this cause He is the mediator for the new testament, that by means of death, for the redemption of the transgressions that were under the first testament, they which are called might receive the promise of eternal inheritance” (Hebrews 9:14-15). Baptizing them in the name of the Father! Except a Man be Born Again!